NBC Bay Area’s Asian Pacific America with Robert Handa talks with Cinematografo Festival and Exhibitions Director Miguel Sevilla and H.P. Mendoza, director of Bitter Melon, the first film out of the Cinematografo Originals initiative on an episode of the weekly program that airs on NBC Bay Area and on COZI TV. NBC Bay Area’s Robert Handa (right), host of Asian Pacific America, interviews H.P. Mendoza, director of Bitter Melon (left) and Cinematografo Festival and Exhibitions Director Miguel Sevilla (center) to find out more aboutCinematografo International Film Festival. Topics covered were the origins of Cinematografo International Film Festival; The Debut – Cinematografo’s centerpiece film, which happens to be celebrating its 18th birthday – its debut – this year; and Mendoza’s Bitter Melon. 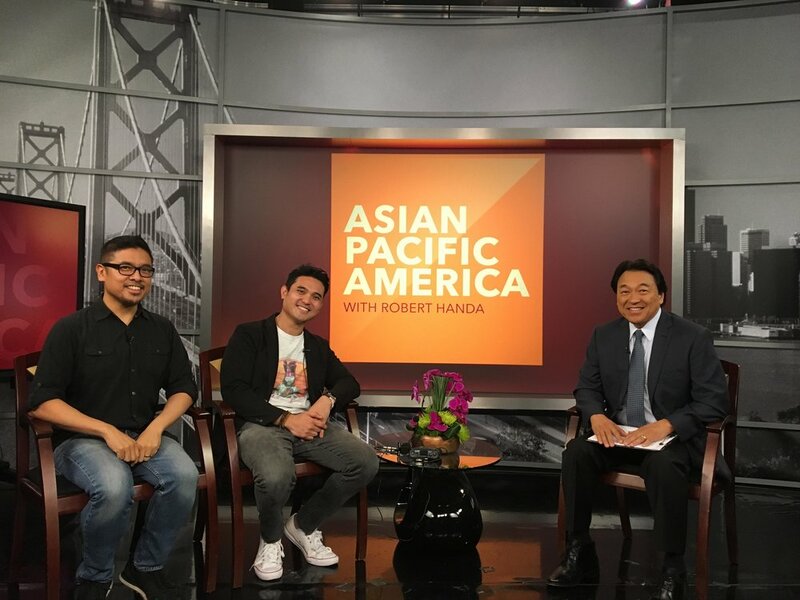 Catch the lively banter on Asian Pacific America with Robert Handa this Sunday, October 21 on NBC Bay Area channel 11, cable 3 and 703 at 5:30 AM, and on COZI TV channel 186 at 6:00 PM. The Cinematografo International Film Festival is an annual film exhibition series that aims to showcase emerging filmmaking talent from around the world, focusing on issues of representation and inclusivity. The festival’s theme this year is “Breaking Down Walls,” which refers not only to divisions along global political lines but also aims to empower storytellers in breaking through barriers in film and story whether in terms of subject matter, representation and cultural limitations. This year’s opening film is Signal Rock from the Philippines, from renowned Filipino auteur Chito Roño, who returns to his independent roots, turning his lens to the small island town of Biri Island. It’s an unusual place where the San Bernardino strait meets the mighty Pacific Ocean. This clash of earth and water gives birth to staggering rock formations that surround the island. The film tells the story of Intoy (Christian Bables) who is left to care for his parents when his sister moved out to work overseas. The only way he could contact his sister and the outside world is by taking his cellular phone and going up the strange rock formation known as “signal rock”. Signal Rock is the official Filipino submission for Best Foreign Language Film at the upcoming Academy Awards®. The closing film is A Land Imagined from Singapore’s Siew Hua Yeo. Winner of the top prize in this year’s Locarno International Film Festival, this gripping thriller shows the dark side of the city-state of Singapore, away from the urban glitz and glamor, diving into the seedy underground of the working class. Cinematografo International Film Festival takes place at the AMC Dine-In Kabuki 8 in Japantown in San Francisco, from November 8-11, 2018. For more information and to get tickets, go to www.cinematografofilmfestival.com.